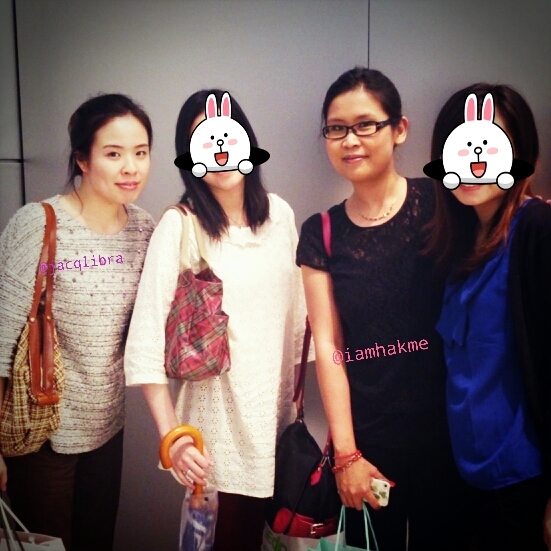 Last Thursday, I had a date with three other beauty bloggers who're also based in HK. We had food, (a lot of) chats and talks, finished off with a massive beauty exchange/swap. On the same day, I visited a private sale of Kesalan Patharan (KP) where they also sell a few Anastasia Beverly Hills products. My cousin purchased a foundation and lipstick on clearance, while I only picked up one brow kit. 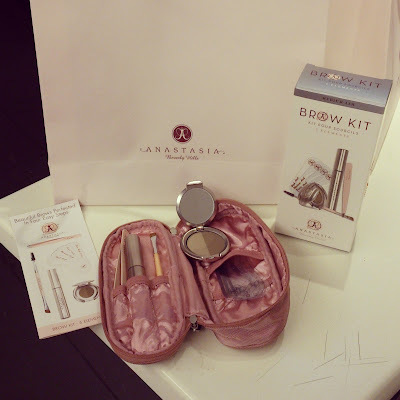 It cost me $385 for the Brow Kit below, not cheap compared to the US price, but considering I can't get it here otherwise, I find this price acceptable. Then my cousin and I went on a mini pilgrimage to the newly opened Innisfree store at Causewaybay. The store was not big, but well furnished and more importantly, well stocked. I am not particularly keen on the most things the brand has to offer, so I only looked at the special sets. I got the $110 Jeju Volcanic Pore Care 3-Step Kit with a full size mud mask, travel size cleanser and toner. My skin has been a little congested recently so I figure this is a nice set to try out. However, both my cousin and I find the very popular best-seller Green Tea Seed Serum a bit 'meh'. That set, also with cleanser and toner, was $210. The store has gift with purchase when you reach various benchmarks; we're just not tempted/fooled! The It's Real Rice Mask was a free gift with any purchase, I think. Jess, also known as Hakme, came next. 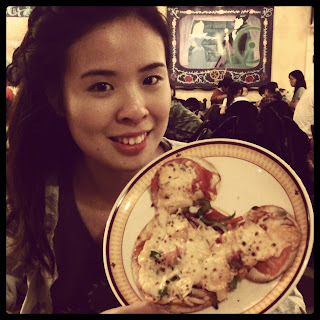 She has already posted about our dinner meet-up, go check that out! Then came Dorothy, who tote around the whole bag of goodies for our exchange to and fro her biz day-trip to the next city (SZ). Finally there's Jen, the mysterious one whom I've wanted to meet for quite a while, since she doesn't show her pretty face on her blog! Our three hour dinner include an insane load of product names, blogging experiences, shopping discount tips and beauty lemmings. 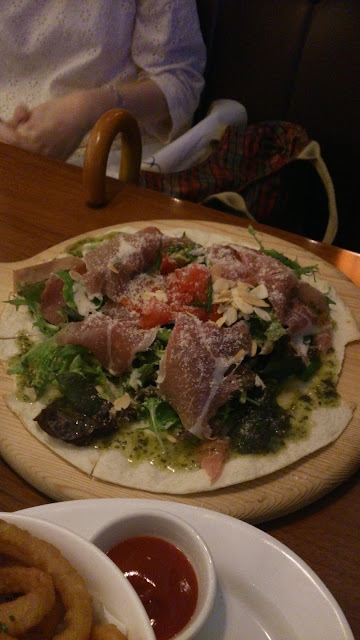 The dinner was supplemented with lovely food from the cafe (yes, food has a lower priority when it came to our meet-up!). I especially love the funny concoction of rice, salad, fish eggs, tuna and avocado mixed together (weird does it sound, delicious it tastes!). The highlight of the night was probably our beauty exchange/swap. We started off sending each other masks to try out, and followed with samples, full size, used, even brand new products. I bet most of us thought we can come full handed and leave empty (or lighter) handed, which didn't happen. We all brought away bag(s) of stuff... At the end, Dorothy and Jen refused to bring home some (nearly new) make up, we even force one another to bring those back to blog-sale. Result? I brought them home, so they will sponsor my future giveaways. Keep an eye out on my Twitter ♥ Facebook ♥ Instagram !!! Dorothy's secret gift to each of us! Next time I want to try out certain beauty product I should just text my blogger friends. Chances are, they already have it and they want me to take it rather than it taking up their storage space at home. Let me bear this in mind and not spend any more in this spending ban!!!! I will write these down weekly, and after the 100 day spending ban I will look back and see what I really will buy. I suppose this is a good way to see how unnecessary some of my desires are!? 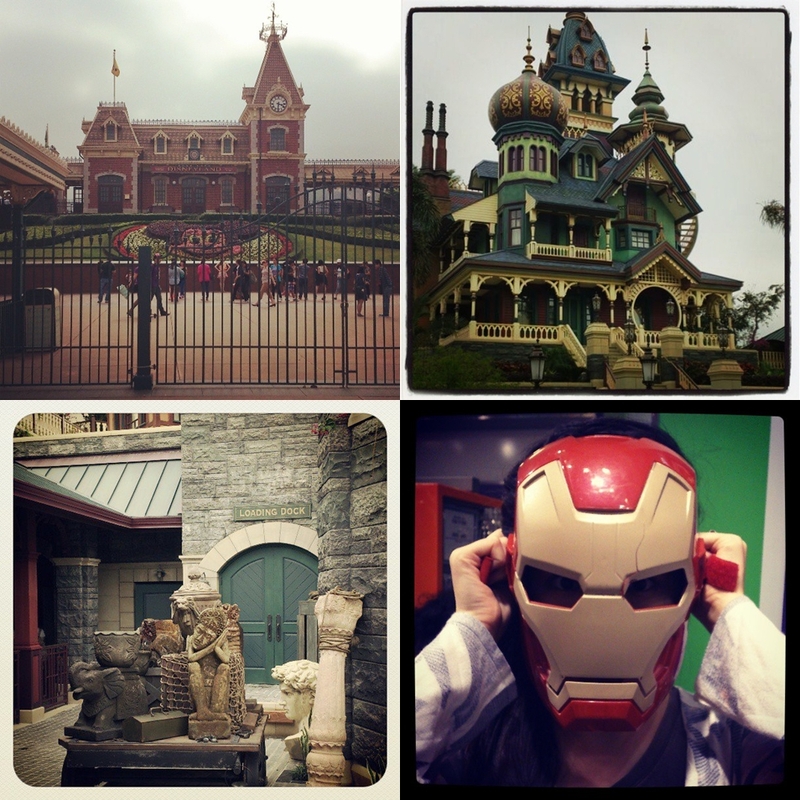 Disney, Mystic Manor/Mystic Point, Iron Man mask! 2. One of the 'swap-lifters' identified. I will assume it is a 'she' for the time being. She has been changing her instagram username constantly, when she contacted me she was @sugarplumprincess7, later she became @cyruslove77 and most recently she is using @prettypink777. I sent my parcel to Anais Evans at state CA, USA. This person's Kik username is sugarnails. Today her display name is Oni E. She said she sent her box on the 27th March by air with US $30 cost and refused to pay for registered/signed-for service. If she really sent what she said, it should have cost only half. To certified I have sent my part, I paid for a certificate with HK Post's stamp and chop. 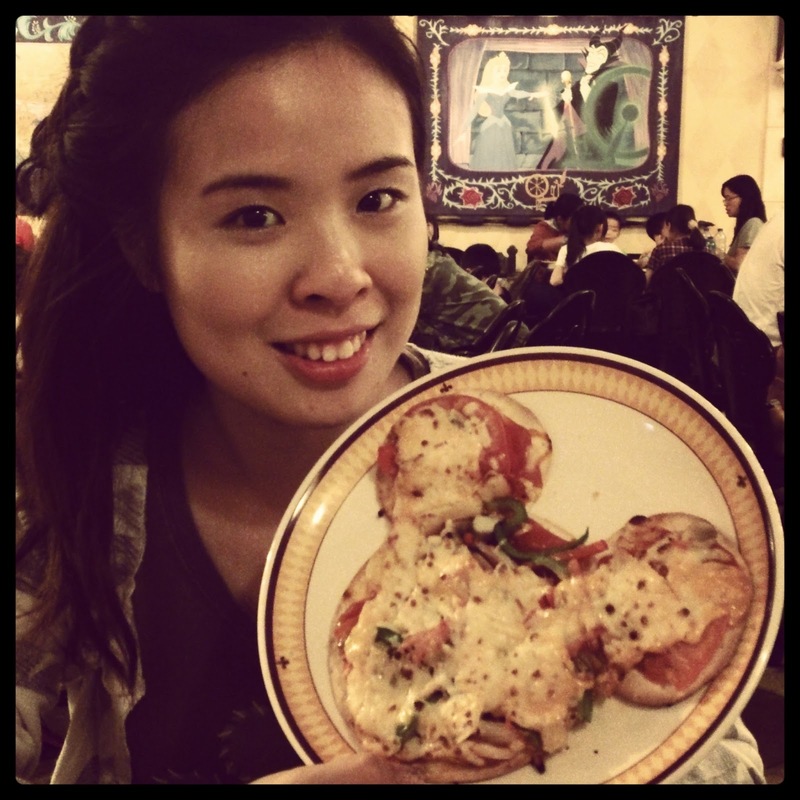 My week passed swiftly with shopping, eating and disney-ing. How was your week/weekend? Tell me anything you've recently purchased (that will make me feel better)! Are there any favourite park, or theme park that you think I should visit? I would like to try at some point the Anastasia brow products , you can make a review of the duo powder? you got so much makeup... I hope you enjoy it. thanks for putting the name of the "swap-lifters". people have to know and take caution when talking to such people. Noted, will try to review the brow powder as soon as possible! I will also post what I got from the two swaps later, I need to sit down properly and type them out! 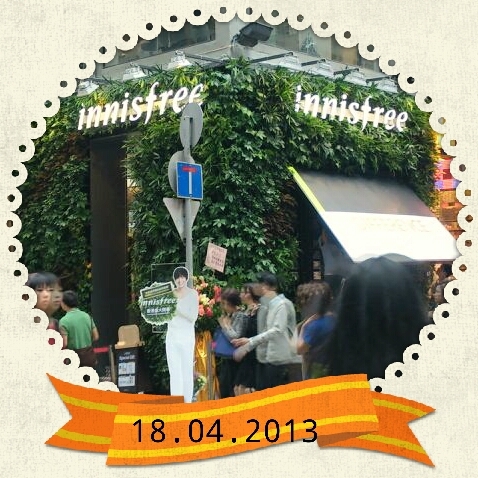 i've been wanting to go inside Innisfree to look at the amazing sets you talked about, but the queue!!! The craze will die down very soon. The volcano mask is really good!